This Hidden Letter Puzzle Image Question is for school going Kids. 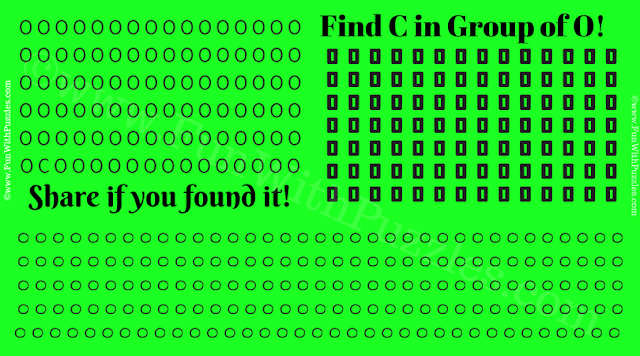 Solving this hidden letter puzzle will help you to increase your observation power. 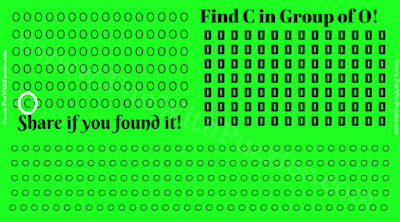 In this Puzzle Image, one C is hidden among group of letter O. Can you see this C in less than 20 seconds? Can you find hidden letter C in this Puzzle Image? Answer of this "Hidden Letter Puzzle Image Question for Kids", can be viewed by clicking on button. Please do give your best try before looking at the answer.